Miód is the Polish word for honey and so Miodownik is a Honey Cake which usually contains spices. 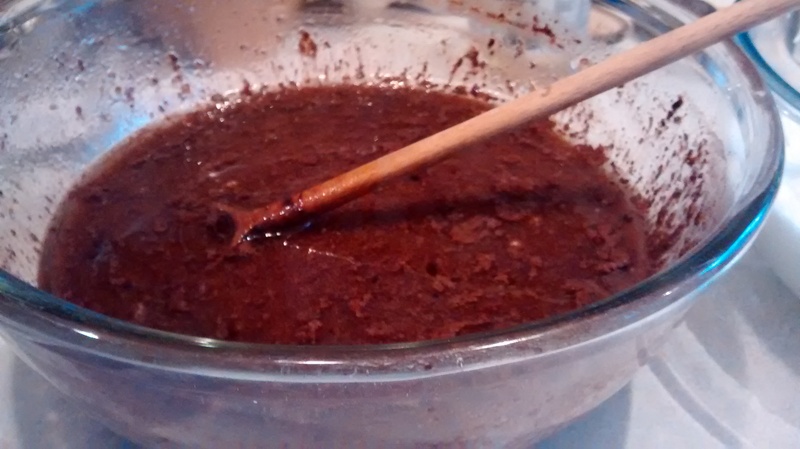 Pierna is an old Polish word for spices and so Piernik is also a Honey Spice Cake. Some sources say the name is from pieprz – pepper or piorun – thunderbolt or devil – because of its spiciness. These cakes have been known in Poland since the 12th century and the spices would have come from Turkey (originally brought back by the crusaders) or India. Honey was the original sweetener, long before sugar and there are many traditional recipes that use honey not only in cakes, but also in meat dishes. When you travel in Poland you will find many village ladies selling their own honey, the taste varies greatly depending on where the bees have found their flowers and the honey from a forest region is dark and very flavoursome. Piernik can vary from a soft dense cake to a drier but soft biscuit. The Polish town of Toruń is famous for its piernik and Chopin was very found of this. Pierniki(plural) coated with chocolate are called Katarzynki – which means Katherine’s cakes – named after Katarzyna the daughter of one of the bakers. Similar cakes are found throughout Europe including the French pain d’éspices, the Dutch peperkoek and the German lebkuchen. Miodownik and piernik are often translated as Gingerbread but ginger is a spice rarely used in Polish cookery. The main spices used are cinnamon and cloves with the addition according to different recipes of cardamon, black pepper, caraway, nutmeg, dried orange and/or lemon peel and then in later recipes allspice which is from the New World. My older recipe book gives the proportions for mixing spices and there is one with black pepper which I intend to try out in the future. Whilst looking through some of my more recent cookery books it would appear that it in Poland you can buy ready mixed spices for piernik so I would presume you can get these in Polish shops in England. I will try these out in the future as well. I use the mixed spice mixture which is sold by Marks & Spencer which contains: dried orange peel, cassia (a variety of cinnamon), ginger, nutmeg, pimento (allspice) and caraway. I think it is the dried orange peel which makes it much nicer than other mixtures I have used. 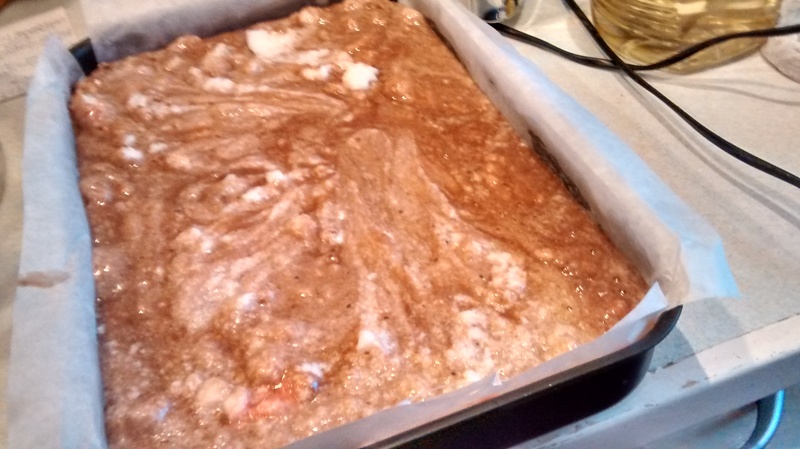 Some recipes make a cake mixture and then leave it in a cool place for up to several weeks before baking it. I have tried one of these out many years ago and it was very good – I intend to try this again for a post in the early winter of next year. Piernik in Poland is associated with the Christmas season and would be made for Christmas Eve and for Christmas Day, it would also be made for Święty Mikołaj – December 6th – St Nicholas Day. This a day for present giving in Poland to children and I would always get a piernik shaped and decorated to look like the bishop that was St Nicholas. This is of my mother’s recipes and it uses sunflower oil which is a more recent addition to recipes in Polish cookery. 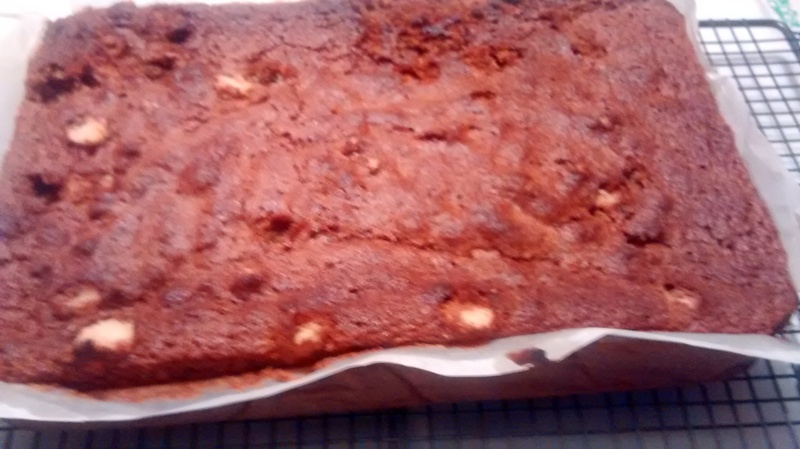 It is a dense cake which is lovely and moist and improves with keeping. You can use a 25cm square tin or a 31cm x21cm rectangular tray tin. Grease and line the tin. 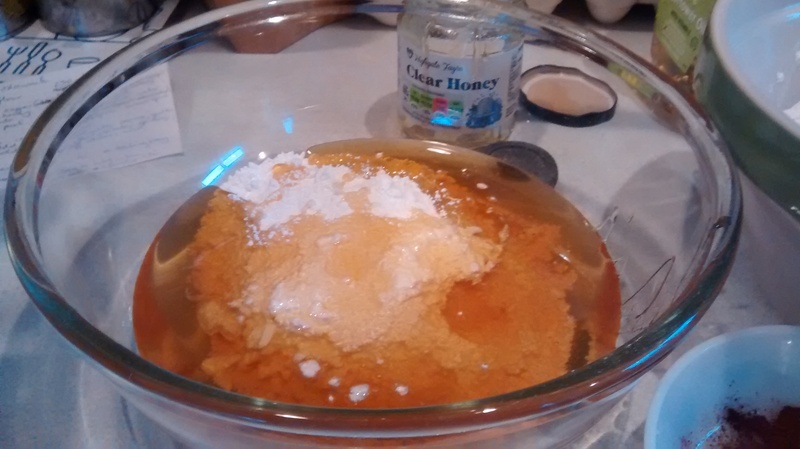 Pre-heat the oven to Gas Mark 3 – 160º C.
In a large bowl, mix the honey and the icing sugar. Add the water, cocoa, egg yolks, oil and then the mixed peel. 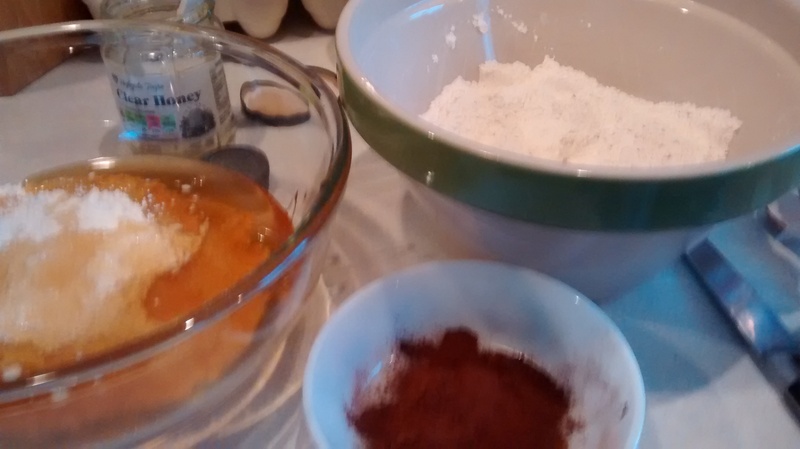 In a separate bowl mix the plain flour, salt, bicarbonate of soda and the mixed spice. 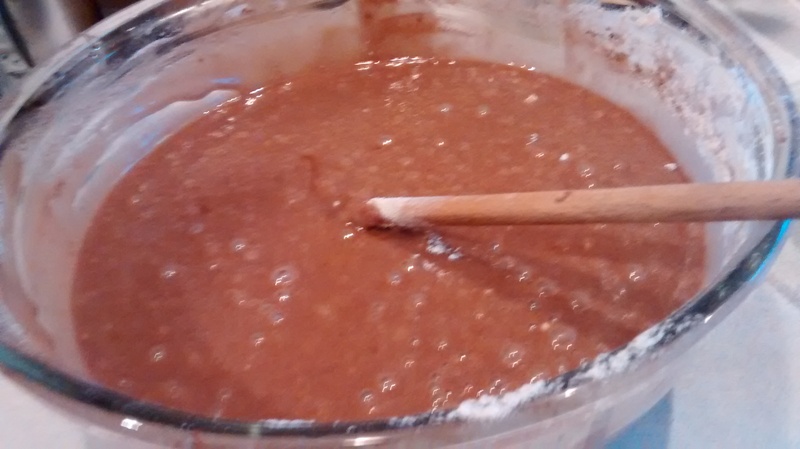 Add the dry mixture to the honey mixture and mix together to make a batter. Whisk the egg whites until they are stiff and fold these into the honey batter. Bake on the middle shelf of the oven for around 1hour 30minutes. 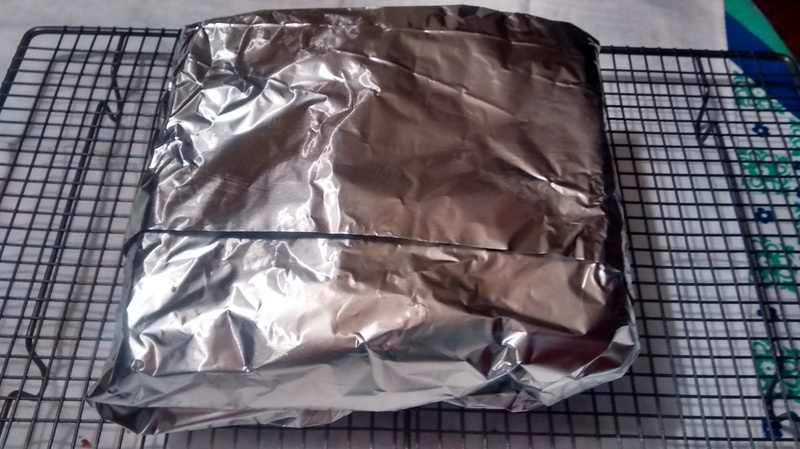 Take care as this has a tendency to burn at the top, you might need to cover it after about 1 hour with a piece of greaseproof paper of aluminium foil. Test to make sure it is cooked through with a fine cake tester. I recently made this for Wigilia (Christmas Eve) around 3 weeks beforehand – it was lovely and moist by then.